A will designates an executor, or personal representative, to carry out the wishes of the person who made the will. An executor performs a wide range of duties when administering the estate. She is also legally required to meet certain legal standards regarding personal conduct with respect to managing the estate. Whether you are an executor or beneficiary of a will, you may encounter the issue of an executor wanting to purchase a car that is part of the estate. The primary duties of an executor are to preserve and manage an estate’s assets until the executor can distribute the assets according to the terms of the will. An executor gathers the estate’s assets and pays off the estate’s taxes and debts. This duty may require the executor to sell certain property in the estate. The executor also decides whether state law allows the estate to be settled without going through the probate court. The executor determines who inherits specific property or assets under the terms of the will and closes the estate once all of its assets have been distributed. State laws impose a fiduciary duty on executors. This means that an executor has a duty to act in the estate’s best interests. In all transactions involving the estate, an executor must perform his duties with honesty, loyalty, fairness, diligence and confidentiality. An executor can never place his self-interest above the interests of the estate. If an executor fails to meet his fiduciary duty by being negligent or engaging in self-serving acts, he may be personally liable for the financial losses the estate incurs. Whether an executor's purchase of a car from the estate is permissible depends on several factors. A purchase may be improper if the terms of the will bequeath the car to a beneficiary or the purchase price is lower than the car’s fair market price. 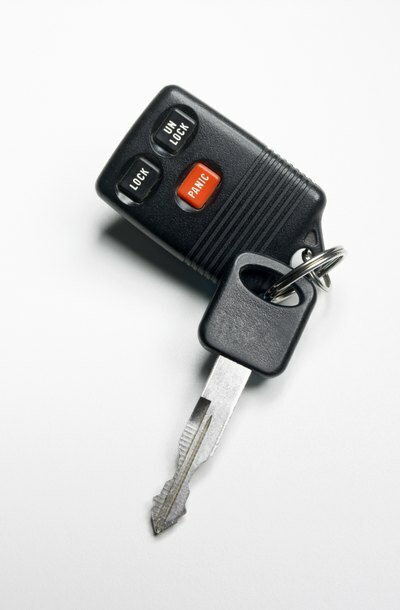 It may also be improper if the executor does not inform beneficiaries of her purchase of the vehicle. However, a purchase may be proper if the will's terms allow the executor to buy the car from the estate or, in some states, the purchase is made at a fair market price. Statutes in many states limit an executor's ability to buy assets, including a car, from the estate he is administering. These laws typically require an executor to purchase estate assets in a public sale and have approval from either the beneficiaries or a probate court. Family members and other beneficiaries may object to the executor's purchasing a car from the estate. They may challenge the validity of the purchase or price paid. The beneficiaries may even seek to have a court remove the executor for breaching his fiduciary duty. Most purchases of estate assets by the executor will raise concerns of self-dealing and conflict of interest. Missouri General Assembly: Missouri Revised Statutes, Section 473.477, Executor or Administrator Not to Purchase, Exception. An estate executor is responsible for handling the decedent's, or deceased person's, estate including bill payment and property distribution. The executor is named in the decedent's will; he receives his authority from court through legal proceedings known as probate. If an executor's responsibilities are removed before he completes his duties, a new person must be appointed to finish settling the estate. An executrix is a woman named in a last will and testament, and subsequently appointed by the court, to manage the estate of a decedent in probate. The male counterpart to an executrix is an executor; either party may also be referred to as a personal representative. A decedent will often designate a wife, daughter or other trusted family member to manage his affairs after death, according to the terms of his will. Those terms, as well as state law, usually dictate whether or not an executrix may sell a decedent's real estate.